Administrative Law Judge (ALJ) Marian H. Tully, Office of Administrative Hearings (OAH), State of California, heard this expedited matter on October 24, 2013, in Rialto, California and on October 29, 2013, in Van Nuys, California. Attorney Karen E. Gilyard represented Rialto Unified School District (District). Attorney Brianna Hill attended on October 24, 2013. District Senior Coordinator of Special Education, Alejandro Gonzalez, attended both days. Student was represented by his grandmother and legal guardian (Parent). Student attended the hearing on the morning of October 24, 2013. On September 30, 2013, District filed a request for expedited due process hearing. On joint motion of the parties the ALJ granted a continuance from October 29, 2013, until November 4, 2013, to allow time to file written closing arguments. Closing arguments were timely filed and the record was closed on November 4, 2013. 1. Is maintaining the current educational placement of Student at Simpson Elementary School substantially likely to result in injury to Student or to others? 2. If so, is the District’s proposed placement of Student at Bright Futures Academy, as offered in the September 17, 2013 individualized education program (IEP) team meeting, an appropriate interim alternative educational setting (IAES), for not more than 45 days? 1. At the time of hearing, Student was eight-years-old and resided with Parent within District boundaries. Student was eligible for special education and related services under the category of other health impairment (OHI) due to significant attention deficits and characteristics of attention deficit hyper-activity disorder. Student’s current placement was in third grade, in a special day class (SDC) for children with mild to moderate (M/M) disabilities, at Simpson Elementary School (Simpson). 2. Student had a history of physical aggression and eloping behaviors at Simpson, and at Myers Elementary School (Myers). From August 9, 2011, through November 14, 2011, while attending Simpson, Student was involved in 12 incidents where he caused, attempted, or threatened to cause physical injury to another person; two additional incidents of physical contact; and nine incidents involving disrupting school activities. From November 28, 2011, through May 15, 2013, while attending a M/M SDC at Myers, Student was involved in 16 incidents where he caused, attempted, or threatened to cause physical injury to another person; five additional incidents of physical contact, and fourteen other incidents involving, attempting, or causing damage to school and personal property, defiance, problems on the bus, health or safety, and disrupting school activities. Student’s aggressive behavior in first and second grade was directed toward other children, his aides and teachers, staff, and administrators and put his own safety at risk. Student pushed, hit, slapped, kicked, shoved, and fought with other children. Student twisted a child’s arm, slid down a pole and purposefully landed on another child, sat on a child’s back and “bounced,” and grabbed a child by the neck and threw the child down. Student kicked, hit, bit, and spat upon his aides. He pinched, hit, slapped, and kicked his teachers, staff, and the school principal. Student’s aggressive physical behavior caused some minor injuries to children and adults. Student threw chairs, books, and other objects. He pushed desks over and climbed on furniture. He was habitually defiant, yelled out in class, and used obscenities towards other children and staff. Student frequently bolted from the classroom. He ran off campus toward a busy main street a number of times. Student’s aggressive behavior and eloping endangered his own safety. 3. On May 14, 2012, due to the number of suspensions caused by Student’s behavior, a manifestation determination review (MDR) meeting was held. The team concluded Student’s conduct was caused by or directly related to Student’s disability and Student was returned to his SDC at Myers. On May 23, 2012, two days before the last day of the school year, Student was on the playground waiving a box cutter around and threatening other children. He resisted staff attempts to stop him by kicking and trying to hit them. Later, in the principal’s office, the box cutter was found to be empty and the blade and shield were found in Student’s pocket. Student was suspended for two days for possession of a knife. Another MDR meeting was scheduled to be held at the beginning of the next school year. 4. On August 10, 2012, District held a MDR meeting to discuss the box cutter incident. The team again determined Student’s conduct was caused by Student’s disability and Student should remain in the SDC class at Myers until the completion of a behavior specialist’s assessment, then in progress. 5. The IEP team met on September 20, 2012, to discuss the results of the assessment. Based on the results of the assessment and reports from Parent and other members of the team, the team determined that Student’s behaviors had improved. The team modified a behavior goal and no other action was taken. 6. Student’s annual IEP team meeting was held on November 9, 2012. The team discussed concerns over Student’s behavior. Student’s behaviors worsened significantly during the two months following the September 20, 2013 meeting. District assigned an additional aide to assist Student in the classroom. Two new behavior goals were added to his IEP. A functional behavior assessment plan was developed. Social/emotional and mental health assessments were offered, and the team agreed to refer Student for mental health services. Student’s placement in the M/M SDC at Myers continued. 7. On November 14, 2012, Student hit office staff and a custodian, and he threw teacher Karen Good’s shoes, which hit a wall just past her head. Student then eloped. On November 26, 2012, Student threatened to bring a knife to school and kill a staff person, threw chairs and books at staff, and ran away from his aide and teacher. On November 27, 2012, Student kicked a teacher several times, attempted to push over a desk, and threw a stapler. An MDR meeting was held on November 29, 2012. Again, the team determined that the conduct was a manifestation of Student’s disability. A behavior support plan (BSP) was added as an addendum to Student’s November 9, 2012 IEP to address running out of the classroom and assaulting children and staff by biting, kicking, pinching, scratching, throwing objects at children and staff, spitting, and stomping on people’s feet. 8. On February 26, 2013, Student pushed another child off the top level of a climbing structure, a height of about six feet. The child’s fall was broken by Student’s aide, Wendy Rivero, resulting in a minor injury to her. Student then attempted to push three more children off the structure. After they returned to the classroom, Student attempted to stab Ms. Rivero in the back with a pencil while she was helping the child that was pushed from the climbing structure. Student continued to lunge at Ms. Rivero when she turned to avoid him and protect the other child. This caused other children in the classroom to cry. Later that day Student used obscenities towards other children and staff. District responded by providing Student with a structured recess off the playground with an aide, changing the playground location and increasing playground supervision to three aides. On March 8, 2013, Student climbed on desks and other furniture and disrupted the class until all the desks were moved to the back of the class and the other children were evacuated. 1 ProAct is a method of physical restraint in which two adults, one on each side of the child, use their hands and bodies to subdue the child in a prone position. A third adult acts as an observer. 10. District held an MDR and an IEP team meeting on March 12, 2013. Parent declined to participate and Student’s attorney instructed District to proceed in Parent’s absence. The purpose of the MDR was to consider the playground incident on February 26, 2013. The MDR resulted in a determination that Student’s conduct was a manifestation of his disability. The team then discontinued the MDR and began the IEP meeting to discuss the FAA and Student’s placement. Ms. Good, as Administrator/Designee, and Ms. Barthelemy attended the meeting. The team reviewed and discussed Student’s recent behaviors. District was providing two additional aides to support Student in the classroom and an aide on the bus. The team considered Ms. Barthelemy’s report and recommendations. Ms. Barthelemy recommended the IEP team set a high priority on Student’s safety in the current environment, and concluded Student might benefit from a highly structured program and a secure educational facility which would provide embedded positive behavior supports, counseling services, and social skills training in the curriculum. District members of the IEP team agreed and District offered Student specialized academic instruction in a non-public school (NPS), in a separate class, five days a week with transportation to-and-from, counseling, and behavior intervention services to be provided by the NPS. District also offered a mental health assessment. Parent did not consent. 11. In August and September 2013, while attending third grade at Simpson, Student’s physically aggressive and eloping behaviors escalated. On August 27, 2013, he climbed onto a filing cabinet in the classroom, left the classroom twice and was returned to the classroom by campus security, he bolted, ran around the campus followed by three staff members and the principal, climbed a fence into the school parking lot and back into the classroom area, and was eventually escorted by his aide and campus security to the principal’s office. On September 3, 2013, Student attempted to poke another child with a pencil. He also eloped into the pod area. The pod area is an indoor area surrounded by other classrooms with doors and windows open to the pod. Student was screaming. He hit and attempted to bite one aide, kicked Ms. Rivero, threw a chair and attempted to push a table over onto an aide. 12. On September 9, 2013, Behavior Support Assistant Salvador Navarro was assigned to go to Simpson to observe and assist Ms. Rivero. Mr. Navarro was employed by District since March 2012, as an assistant instructional aide III and then as a behavior support assistant. As a behavior support assistant he went to school sites to assist classroom aides and staff. Before his employment with District, Mr. Navarro worked for Applied Behavior Consultants, an NPS, for five years. His responsibilities included implementing behavior strategies, behavior support plans, and lesson plans. He worked with students who had challenging aggressive behaviors and trained parents and staff in behavior strategies. He was ProAct certified and trained staff in ProAct crises communication and intervention. 13. On September 9, 2013, Student walked around the classroom with a drumstick, hitting things, and threatening children. Student took the teacher’s scissors from her desk without permission, put the scissors within an inch of a child’s face and verbally threatened the child. Student ran with the scissors, knocked over a projector, tripped and fell with the scissors. The other students were taken out of the classroom. On September 10, 2013, he was verbally and physically aggressive to three staff members, he spat at them, kicked a teacher in the groin, hit and kicked staff, threw chairs at staff, and tried to pull a tall rolling cabinet over on himself. Children were crying and the classroom was evacuated. Student was restrained by Mr. Navarro and Ms. Rivero, with an observer, using the ProAct method. On September 16, 2013, he eloped into the pod area where he threw tacks and a white board at Mr. Navarro, kicked him in the leg and head, scratched him breaking the skin, and spat on two staff members. He kicked Ms. Barthelemy several times in the leg. Student kicked the window of another classroom and disturbed four other classrooms. Student was restrained using ProAct. He was escorted to Principal Connie Richardson’s office. 14. Ms. Rivero worked with Student as a one-to-one aide in second grade at Myers and in third grade at Simpson and testified at hearing. She was Student’s aide during the incidents on September 3, and September 10, 2013. On September 3, 2013, Student kicked her and she was seen by a health clerk for bruises to the front and back shin areas of both legs. On September 10, 2013, Student’s aggressive behavior occurred over a period of about three hours. During that time, Student “mule kicked” her above the ankle resulting in a hard fall and an injury to her knee. Ms. Rivero was placed on modified duty for approximately a month as the result of the injury. 15. District held an IEP team meeting on September 17, 2013. In addition to Parent and Ms. Barthelemy, Ms. Richardson and Mr. Gonzalez participated in the meeting and testified at the hearing. The team reviewed Student’s IEP, the behavior intervention plan, the March 12, 2013 assessment, Student’s disciplinary history, Parent concerns, Behavior Emergency Reports, health records, and attendance records. District offered to conduct a psycho-educational assessment of all suspected disabilities to include emotional disturbance, autistic-like behavior, specific learning disability, and OHI. District further offered to conduct a functional behavior assessment, a speech and language assessment, and a mental health assessment. Parent declined to sign an assessment plan for these assessments. District members of the IEP team determined that maintaining Student in his current placement was substantially likely to result in injury to Student or to others, and would result in continued injury to children and staff at Simpson. Accordingly, District offered Student an IAES for 45 days at Bright Futures Academy, with a positive behavior intervention plan, 30 minutes of individual counseling services per week, 30 minutes of group counseling services per week, 60 minutes of behavior intervention services per week, and door-to-door transportation. Parent declined the offer and requested home placement.2 District believed home placement was not appropriate for Student at that time. 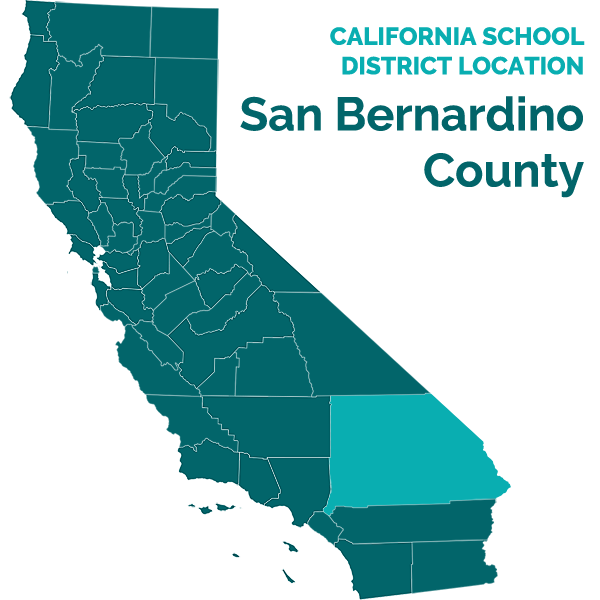 2 Student’s doctor had referred Student to San Bernardino County Mental Health for assessment and services, but there was no medical evidence to support home placement. 16. Student was restrained by using ProAct again on September 18, 2013. Student arrived in the classroom noncompliant, walked around the classroom, did not follow the classroom routine, and refused to respond to teacher’s instructions or to Mr. Navarro’s attempts to gain his cooperation. Student eloped into the pod area. He climbed onto tables and furniture, and jumped from tall rolling cabinets. He threw a chair and swung his belt at staff. He stabbed Nr. Navarro with a pencil, breaking the skin. Student kicked the window of a classroom while on top of a rolling cabinet. After about 30 minutes, Mr. Navarro and Ms. Barthelemy used ProAct to restrain Student. Student was escorted to the office. Once in the office, he found a nail and used it to threaten staff, and also directed profanity at staff. When his grandfather arrived to take him home, Student bolted from the office, slammed the door, and ran into the parking lot. Parent kept Student home from school after that day. 17. Mr. Gonzalez was employed by the District as Senior Coordinator, Special Education in May 2011. Before his employment with District he was employed for three and one-half years by Los Angeles Unified School District as a special education teacher with students having emotional disabilities and behaviors. He was also employed for three years as a resource specialist for students with M/M disabilities in two other districts. Mr. Gonzalez had an M.A. in education administration. He held multiple credentials including an educational specialist K-12 preliminary and clear teaching credential, an administrative services credential, a CLAD certificate, and an autism certification. He had training in positive behavior strategies for emotional behavior disorders, applied behavior analysis, and he was ProAct certified. 18. Mr. Gonzalez was familiar with Student. He consulted with staff when Student attended Myers. He observed Student in the classroom, participated in the September 17, 2013 IEP team meeting, reviewed Behavior Emergency Reports on the day of the behaviors, and personally worked with Student when Student was in third grade at Simpson. In Mr. Gonzalez’s opinion, Simpson was not an appropriate placement for Student. Student’s behavior was unpredictable, could escalate at any time and redirection did not work. 19. Mr. Gonzalez was familiar with Bright Futures Academy. Bright Futures Academy was a certified NPS. He had visited the campus and observed the program. District students have attended the school. There was constant communication between Bright Futures Academy and Mr. Gonzalez concerning students in that placement. The school had a psychologist and a BCBA on staff. The student staff ratio was five or six students to three or four adult staff. The staff at Bright Futures Academy had the level of training and experience required by Student’s behaviors. Counseling was embedded in the program and students were closely monitored. Bright Futures Academy was a safer campus for Student because it was set back from the street. In Mr. Gonzalez’s opinion, Bright Futures Academy was an appropriate IAES for 45 days. 20. In Parent’s opinion, Student should be in a public school but he needed a different school and different staff. According to Parent, Student went to school angry in August and September 2013, because he was fighting with children that lived in the same apartments. The family moved to a new home in September. After the move and removal from Simpson, Student made friends in the area and he was doing well in a Big Brother Program, at church, and when he attended Sylvan Learning Center. 1. District contends Student’s current placement at Simpson is substantially likely to result in injury to Student or others. District seeks an order that the placement at Bright Futures Academy offered in Student’s September 17, 2013 IEP is an appropriate IAES for not more than 45 days. Student agrees Simpson is not an appropriate placement for Student. Student contends a public general education program in a different school with different staff is the appropriate placement. For the reasons set forth below, the evidence showed that Student’s current placement is substantially likely to result in injury to Student or to others and that Bright Futures Academy is an appropriate IAES for not more than 45 days. 3 References to the Code of Federal Regulations (C.F.R.) are to the 2006 regulations. 5. A school district may request a due process hearing to authorize a change of placement if the district “believes that maintaining the current placement of the child is substantially likely to result in injury to the child or to others….” (20 U.S.C. § 1415(k)(3)(A); 34 C.F.R. § 300.532(a) .) Conduct that has been found substantially likely to result in injury includes hitting, kicking, shoving, biting, climbing on classroom furniture and cabinets, shouting obscenities, throwing objects at people, running out of the classroom, and banging on the doors of other classrooms. (Long Beach Unified School Dist. v. Student (2008) OAH case number 2008030017.) Behaviors that have been found likely to result in injury also include: hitting an adult in the back, lunging at the teacher and trying to punch and hit her, yelling at and threatening people (Fort Bragg Unified School Dist. v. Parent on behalf of Student (2008) OAH case number 2008100507); throwing desks, knocking over a computer, yelling and screaming, hitting, kicking, punching, and biting adults (Fullerton Joint Union High School Dist. v. Student (2007) OAH case number 2007040584); and throwing objects, kicking other children, punching and kicking school staff, eloping from school and running into the street, knocking over another child, screaming, and destroying property (Lancaster Elementary School Dist. v. Student (2006) OAH case number 2006030771). 7. The evidence showed Student’s current placement at Simpson has caused and is substantially likely to continue to cause injury to Student or to others. Student’s physical aggression resulted in injuries to children and District personnel, and was substantially likely to continue given Student’s history. Student’s physical aggression and eloping behavior put Student at risk of injury in the classroom, on the playground, in the school parking lot, and on the street. These behaviors persisted in first and second grade and escalated in third grade. From August 27, 2013, when Student began third grade at Simpson, through September 18, 2013, Student’s last day of attendance, Student’s behaviors escalated to the point where other children had to be evacuated from the classroom on several occasions. Between September 10, and September 18, 2013, ProAct was used three times to restrain Student for his own safety and the safety of others. From November 9, 2012, through September 17, 2013, District reviewed and revised the behavior goals in Student’s IEP, conducted a behavior assessment, provided a positive behavior intervention plan, created a behavior support plan, added additional aides and support staff to help supervise Student in the classroom and on the playground, and assigned a specially trained analyst to observe and assist Student’s aide. None of District’s substantial efforts helped Student to reduce or eliminate his aggressive or eloping behaviors. Accordingly, District met its burden of demonstrating that Student was substantially likely to injure himself or others in his placement at Simpson. 8. The evidence also demonstrated that Bright Futures Academy is an appropriate IAES for not more than 45 days. Student’s elopement behavior required a safe environment, and Bright Futures Academy was located back from the street. The staff was trained and experienced. The student-to-staff ratio was low. Student’s needed services, including counseling, were embedded in the program. A 45-day interim placement at Bright Futures Academy would enable Student to participate in the school program with appropriate behavioral intervention services, modifications and supports to address Student’s needs. Although Parent preferred Student be placed in a different public school with different staff or that Student be educated at home, there was no evidence a different public school would be able to manage Student’s behaviors any more effectively than District staff at Simpson or Myers and there was no evidence to support home placement. In light of the above, District demonstrated by a preponderance of the evidence that Bright Futures was an appropriate IAES. At the time of hearing, Student had not attended a District school since September 18, 2013. If Student returns to a District school, District may change Student’s placement to Bright Futures Academy without parental consent for a period not to exceed 45 school days. Pursuant to Education Code section 56507, subdivision (d), the hearing decision must indicate the extent to which each party has prevailed on each issue heard and decided. In accordance with that section, the following finding is made: District prevailed on both issues heard and decided in this case.